Mark Alan is an actor, director, and mentor. As an actor, he has worked at such regional theatres as La Jolla Playhouse, Long Wharf Theatre, Syracuse Stage, The Kitchen Theatre, the Round House Theatre, The Shakespeare Theatre of DC, and Arlington’s Signature Theatre. While living in NYC, his TV credits include the ubiquitous “Law & Order,” “Law & Order: Special Victims Unit.” From 2004 until 2011 he was the Associate Director of the MFA Program in Acting at Case Western Reserve University. From 1986 until 1988 he was the Associate Artistic Director of the Champlain Shakespeare Festival housed at the University of Vermont. He has also taught for the University of Vermont, NYU/Playwright’s Horizon Studio, and The Lab at the Hangar Theatre. 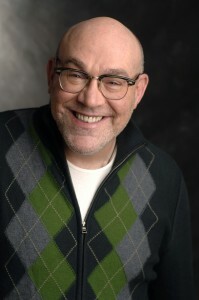 Mark Alan is a founding member of the Signature Theatre Company in New York. When I was in undergrad I took my degree under the school of education. I realized I kind of liked teaching a lot. A lot. And I was just teaching English classes. Then I did my MFA at Ohio University in Athens. No distractions. One of the great things about Athens was that there was nothing around you so you were there to study, and I really loved that. At OU, one of the components was if you opted to teach for the undergrad then you could make money. And I found the more I taught, the better my work became. You’re looking at an actor, and you’re looking at a student with your faults and you’re able to know exactly what to do to help them. You’re watching them and thinking, “I know EXACTLY what you’re going through, I’ve been there.” And then, when I faced the same demons I would say, “Apply what you told that student to do,” and voila! Demons gone. It was incredible. It was profound. And then someone gave me the first opportunity to direct a play, and that was…holding a whole show in your hand, and knowing how to create that based on being on stage and how it feels not getting help from a director, that was just such a huge discovery for me. It was A Doll House. It’s actually a really funny story, I had spent time in Vermont in the 80’s because one of my internships led to working for the Champlain Shakespeare Festival, which at the time was a big thing. And I had never even thought about Vermont, I didn’t know what it was, I had to look it up on a map. And I arrived at night, and the next morning I wake up and I am surrounded by a sea of mountains and a lake…and I had no idea, no idea where I was. So the first thing I directed was up here, it was A Doll House. I got into an argument with an academic and he asked “Why do you call it a Doll House?”, and I said “It’s not Nora’s house, it’s Torvold’s house.” And it turns out this guy was one of the foremost Ibsen scholars…it kills me now that I was this cocky 26 year old who was arguing with an academic who’s book I read and was referencing! Vermont is beautiful, it’s not just a place it’s a way of life. People are so amazingly civil and present when you talk to them. You don’t have compulsory conversations up here. I actually just got back from the gym and there was this person next to me, and we started a conversation about life, love, the pursuit of happiness. And that always happens, people connect with you. I was trying to think when I did start studying with her. I can’t remember what year it was, I moved to New York in 1988 and I was with her by about 1990. A friend of mine was studying with her. I started studying with her and it just blew me away. It was a great mystery to me that I was getting work and booking jobs, but there was still this kind of feeling of randomness about it. I had gone to college and had got a scholarship to do an MFA, and I felt like I was trained really well but what happened was…I knew what I needed to, but I didn’t feel like I was really in charge. It felt very feigned, nothing really extraordinary. Part of what we do as artists is a continual self-evaluation. You spend quite a great deal of time thinking about yourself, and I wasn’t necessarily happy with my work. Within the first seven minutes of talking with her I was astonished at how well she knew me, and knew my work and what I needed to focus on. I love that every time a former student of mine says they need to find someone to study with in Manhattan then I put them in touch with Cay. There was even a period where Cay asked me to teach at the studio, and it was great, I wasn’t terribly successful because I was much more (laughs)….there needs to be an “AH-HA!” moment in every class, there needs to be a moment in every class. These are adults and professionals and if you leave them feeling vague at the end of a class, if a student is feeling vague and if something is not clearer at the end of a class than it was at the beginning, then you just confuse people. But if you somehow can wrap up a loose end by the end of a class then the next class is even more exciting. She believes people need to get there today, they need to get there this class, not next week or next month. Today. There is not a class that you take with Caymichael that you leave feeling wanting. I was there from day one. I was approached by Jim Houghton and he had just done a Romulus Linney play. He had fallen in love with him as a playwright and wanted to know why, other than Holy Ghost, nothing of his was ever produced in NY. And when he came back to New York he came to me and we were talking about which one of his plays we want to produce. By about the third meeting Signature was formed with the idea that we would produce plays by American playwrights and we would do whole seasons with one playwright, and Romulus was the first playwright. And that was the birth of the Signature. And almost immediately there were a lot of people producing Romulus, there were a bunch of people and a bunch of theaters that were saying “Why isn’t his work being produced?” And then we had the notion that gosh, it’s a shame we are only doing this for a couple of plays, maybe this thing wants to be something more. It took off. The Signature was one of the greatest periods of my life. I just found out they are getting the Regional Theater award for the Tony’s. I actually sent an email to Jim yesterday. I remember this distinct moment when he was trying to get work as a commercial actor and there was the decision that he would be the artistic director. And basically Jim quit his job as a waiter and he committed himself full-time to this project. With a wife, and a life, he basically took that leap, and everything that he has gotten he deserves. On time spent as Artistic Director for the Champlain Shakespeare Festival…. The reason I became Artistic Director was that the University of Vermont was funding the festival, and this was the professional arm and I was going to teach some intern classes. The first thing that happened was the Artistic Director and the associate Artistic Director were fired. I was asked if I would you mind taking over the program? And I said, “no problem”, and then they said could you teach up here? And I was young, I felt like there was so much more I had to learn. The minute I left though, I thought, “Jesus God, that was beautiful”. And then when I turned 50 I realized living in Cleveland wasn’t what I wanted to do, so I went back. I remember in Cleveland having this meeting with the Artistic Director of the Playhouse, and he was screaming at me across the table, and what he said was “I have never known anyone who bought his ticket to a piece of theater for some sort of emotional connection to the piece.” I knew I had to get out of there. I thought in that moment “I have never known anyone who hasn’t bought a ticket for that reason!” I’ve never laid down money for a ticket because I didn’t have some sort of emotional connection to the piece. Since then it’s been interesting getting work and deciding what work I want to do with my craft. It was that watershed moment of what is my emotional connection, what does this theatre believe in, what does the Artistic Director believe in? When I get an audition I look at it as I am interviewing that director, I am interviewing those people in the room. The biggest thing I’ve learned is that it really does matter to me that I keep working. I’ve got students that I taught in Cleveland that have much better careers than I do. And that makes me even happier, and once I learned that, that everyone’s path is different, it became less of an ethereal idea and more of a tactile thing I could hold. I think the decisions we make in our own career are the most valuable things we can do. It’s such a long life, and I think it’s so important to make decisions early and to hold yourself to those decisions.